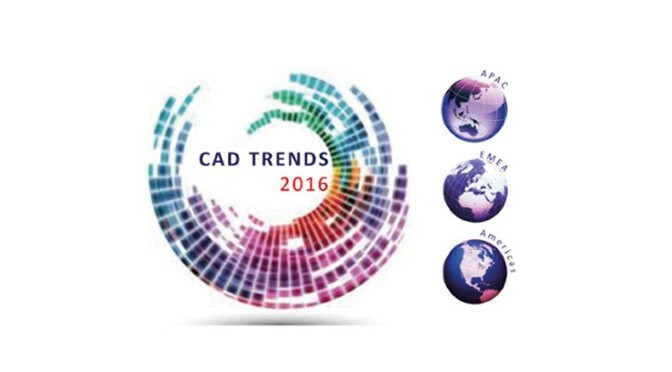 The 2016 worldwide CAD trends survey results were published last month. 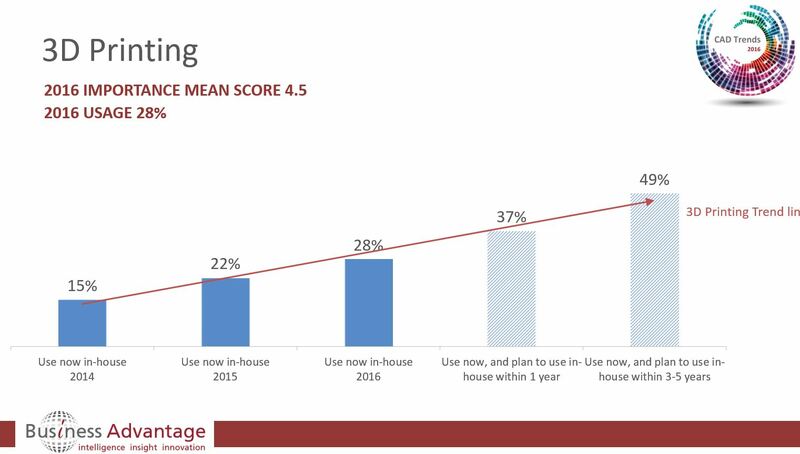 This week we released more details specific to the 3D Printing Trend. 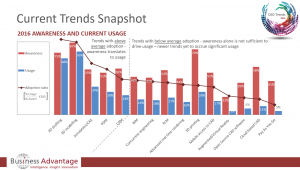 The CAD Trends 2016 report includes survey results for the last 3 years and predictions for up to 5 years into the future. The report, in the form of a graphical PowerPoint® saved in a PDF file, is quite high level and easy to scan. It can be downloaded here.